Avoid alcoholic and sugary drinks that cause dehydration. When outdoors carry a water bottle with you – preferably a reusable one – and keep it filled up. Stock up your freezer with ice cubes to stay prepared. Walk on the shaded side of the street. Spend time at your local community pool. 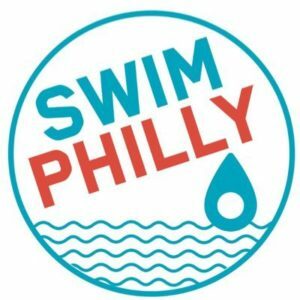 Check out Philadelphia’s spray grounds. Wear a hat and light-colored loose fabrics. Don’t forget to apply sunscreen! Close the blinds in your house to keep the house cool. Open your windows at night to let the cool night air in. Go to a public space with air conditioning like you local public library. Museums and malls are great places to stay active and cool. Instead of taking your walk around the park take it through the shops. Try to spend your time outdoors during the cooler times of the day: early morning, late afternoon, and in the evening. Learn more about staying safe in the heat with some tips from The Red Cross. 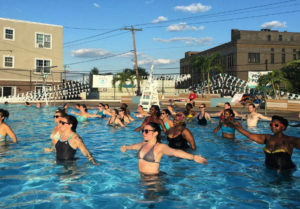 Check out Swim Philly’s FREE pool-side Yoga classes and AquaZumba classes happening at 6 pools near you all summer long. More information is available on our calendar.